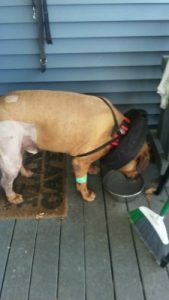 Home » Pet Tales » “Viking” is on the road to recovery! 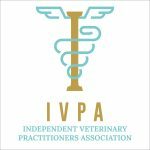 “Viking” is on the road to recovery! 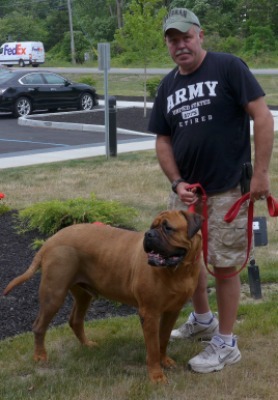 “Viking’s” grand name does not disappoint: the 165-pound bull mastiff recently underwent Tibial Plateau Leveling Osteotomy (TPLO) surgery performed by UVS surgeon Dr. M. Faulkner Besancon. Earlier this year, “Viking” slipped on ice outside his home which resulted in him favoring his right hind leg and having occasional difficulty with stairs or climbing onto the “man cave” couch. 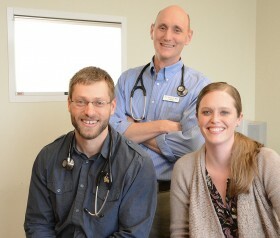 Following the slip, “Viking” visited his family veterinarian who then referred the family to consult with Dr. Besancon. 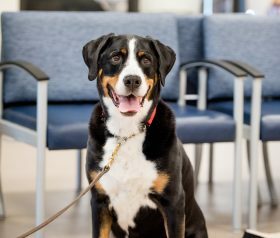 After examining “Viking” in May and diagnosing the same type of ligament damage in both hind legs, Dr. Besancon performed the TPLO surgery, which stabilized the pet’s right “knee”. With a supervised return to increasing activity, “Viking’s” recovery is going well. Once his right hind leg is healed, he will likely return to UVS for the same type of surgery on his left “knee”.